One man’s passion for writing was acknowledged from the other side of the world last month as a Batley resident was awarded a top literary award, all the way from India. Ahmad Gul, poet and chairman of the Gujarati Writers Forum (GWF), was given the Gujarat Darpan Award for his collection of short stories entitled ‘Ajaanya’ (meaning ‘Strangers’). The presentation took place in Indore, India last month, on behalf of the historic literary organisation known as the Gujarati Sahitya Parisad, of which Mahatma Ghandi once chaired in the 1930’s. The 105-year-old organisation holds the awards ceremony biannually and it is considered one of the top literary honours in Gujarati literature. 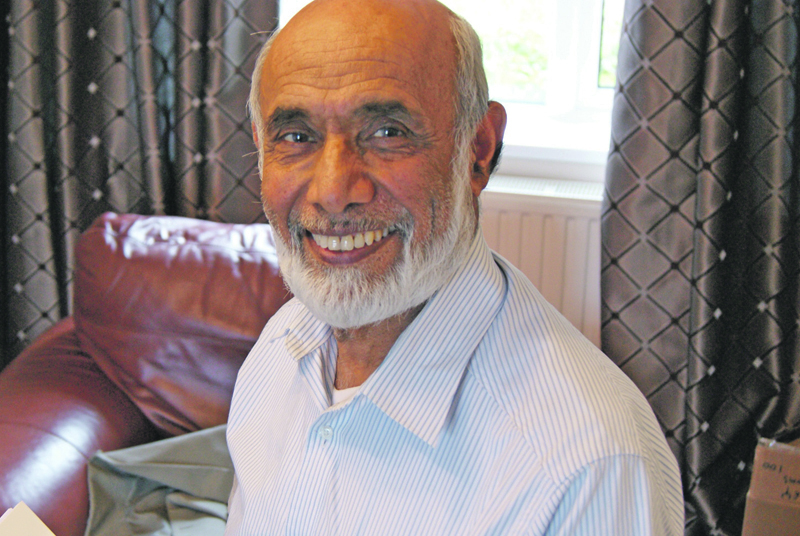 Mr Gul, who moved to Batley from India back in 1963, has been writing since his arrival in the UK and initially used it as a way of remembering home. His latest commendation was awarded for his short stories which depicted the ‘realities of Muslim families and society’ – something which is somewhat rare in this type of literature. Commenting on his award, Mr Gul, confirmed that his triumph was the second best achievement of his life and could only be triumphed by his OBE recognition. Ismail Daji, secretary of GWF added: “The members of Batley’s Gujarati Writers’ Forum congratulate Ahmad Gul for this outstanding achievement. “This award has placed him to a level not yet reached by any member of Gujarati community in the UK. Mr Mohamed Mula, chairman of the Indian Muslim Welfare Society (IMWS), added: “We would like to congratulate Mr Lunat OBE for his achievement.